Xi Jinping–Obama summit: What the Chinese leader will say when the president complains about hacking. What Xi Jinping will say when Obama complains about Chinese hacking. 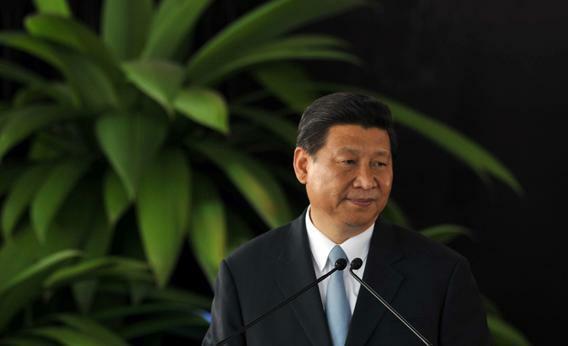 Chinese President Xi Jinping speaks during a press conference at the presidential house in San Jose, Calif., on June 3, 2013. President Obama and Chinese President Xi Jinping are meeting in Southern California on Friday afternoon for their first summit since Xi became China’s paramount leader. This two-day bilateral, as they’re called, is a big deal as far as international diplomacy goes: It’s the first chance for the leader of the world’s most powerful country to sit down and build a rapport with the leader of the world’s fastest-rising power. It’s not exactly Yalta, but it matters more than the short-sleeves dress code might suggest. One of the top items on the agenda is supposed to be Chinese cyberhacking. Washington has become increasingly agitated with Chinese authorities who are clearly behind the cybersnooping of American businesses, government agencies, and media companies. But the Obama administration’s complaint—no matter how justified—may sound a bit awkward coming 24 hours after the revelation of the massive surveillance operation allowing the National Security Agency to track people’s movements and communications by tapping into the central servers of nine leading U.S. Internet companies, including Microsoft, Yahoo, Google, and Facebook. Read more on Slate about the NSA’s secret snooping programs.